The demand for home-based caregiving and nursing in South Africa is growing at a rapid rate. What is driving this phenomenon? Simply stated, the fact that people are able to be at home during times of illness or post hospitalisation aids in recovery or palliative care. “Home is where the heart is” is not a well-worn idiom; it is the key to why home-based care is often the best option. Home care keeps families together. There is no more important social value. It is particularly important in times of illness. Home care serves to keep the elderly independent. None of us want to be dependent and helpless. We strive to help each individual live independently in the comfort of their own home. Home care prevents or postpones institutionalization. Few patients choose to be placed in a nursing home, unless it’s the only place where they can obtain the 24-hour care that they need. We can provide round the clock care. Home care promotes healing. There is abundant evidence that patients heal faster at home! Home care allows a maximum amount of freedom for the individual. Hospitals and nursing homes offer more regimented, regulated environments. Home care offers a reassuring, individualized setting. No one wants to be told when or what to eat. Home care is personalized care. 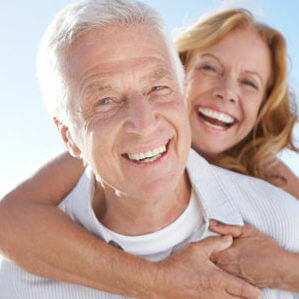 Home care is tailored to the needs of each individual. It is delivered on a one-to-one basis. Home care involves the individual and the family in the care that is delivered. The patient and his family are taught to participate in their health care. They are taught how to get well, and how to stay that way. Home care reduces stress. Unlike most forms of health care which can increase anxiety and stress, home care frequently has the opposite effect. Home care is one of the most effective forms of health care. There is very high consumer satisfaction associated with care delivered in the home. Home care is an efficient form of health care. By bringing health services home, the patient does not generate room and board expenses. The patient and/or his family supply the food and tend to the individual’s other needs. Technology now has developed to the point where many services, once only available in a hospital, can be offered at home. Home care is given by special people. By and large, employees of home care agencies look at their work not as a job or profession, but as a calling. Home care workers are highly trained and dedicated to their work. Our caregivers are trained, experienced, compassionate, and eager to form the relationship that is at the heart of quality care. Home care is, in many cases, less expensive than other forms of care. The evidence is convincing that, for many services, home care is less expensive than other forms of care. In general, home care costs only one-tenth as much as hospitalization and only one-fourth as much as nursing home placement to deal with comparable health problems.